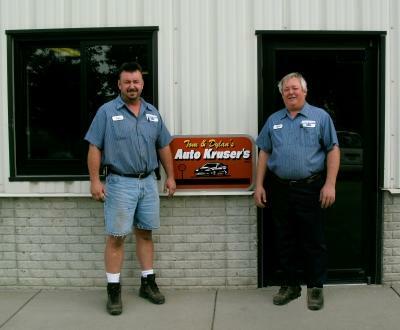 Auto Kruser's opened for business in the spring of 2001 at 1305 E 39Th St N in Sioux Falls. They moved to a larger facility in the summer of 2007 and moved again in 2009. They are now located at 1405 E 39Th St N, just one block East of their original location and 6 blocks West of their previous shop. Although they don't repair over the road trucks, pretty much anything else with an engine is fair game. “We are proud of our reputation and our no nonsense way of doing business. We won’t sell you something you don’t need,” said Dylan Kruse, co-owner and ASE certified Master Tech. “Our focus is automobiles and light trucks, but we’ve fixed everything from commercial lawnmowers to a hovercraft. If it has an internal combustion engine, we’ll take a crack at it,” explained Tom Bieber, co-owner and managing partner. 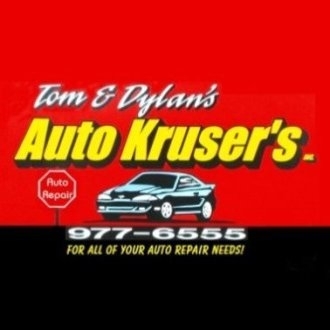 “Excellent work, fair prices, courteous staff. Old fashioned work ethic. I was having automotive problems up on north Cliff and I pulled down 39th street where my vehicle stopped completely. I happened to be in front of this shop [Auto Kruser's]. These gentlemen came to my assistance. They towed my car into their shop and did a quick diagnosis. They told me what was wrong, what it was going to cost to fix, and when it would be done. I okayed the work and the next day I got my car back running better than it had in years. The work was done when promised and the bill was actually less than they had quoted. I have been in a lot of shops in Sioux Falls including the dealerships, and honestly I'm tired of paying for work that is sub-standard, costs twice what was quoted, doesn't get completed when promised, or worst of all, I get charged for, but doesn't get done at all! It was refreshing to find an automotive shop where they still treat you like you are important to them and they are willing to actually fix your vehicle to earn their pay. I highly recommend this place. Should I really rotate my tires? Do you sell tires and batteries?